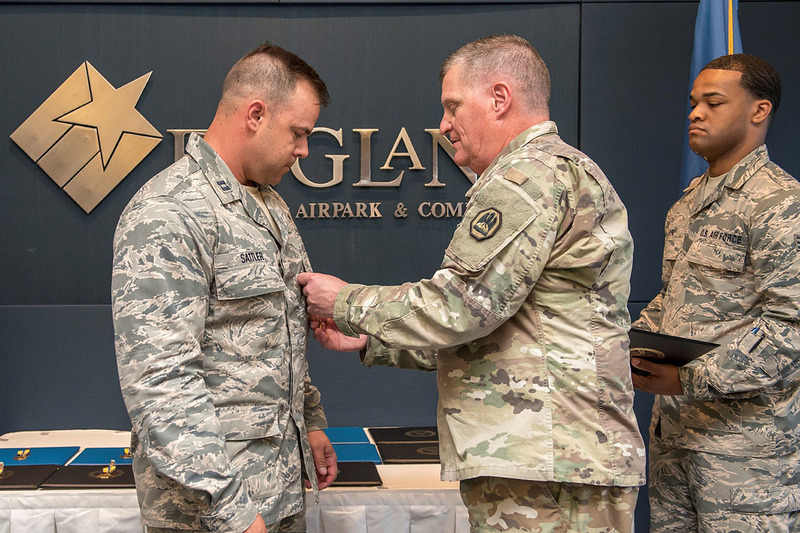 BELLE CHASSE, La.­­­­ – The Louisiana National Guard honored 16 Airmen from the 259th Air Traffic Control Squadron for exceptional service during their deployment to Iraq in at the England Air Park Terminal in Alexandria, April 15. During the ceremony, three Airmen were awarded the Bronze Star Medal, 11 were awarded the Air Force Commendation Medal with C device and two were awarded the Air Force Achievement Medal with C device. 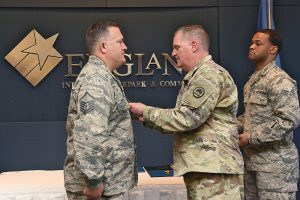 In 2016, the Air Force authorized the C, or combat device to further emphasize the value placed on meritorious service under combat conditions. 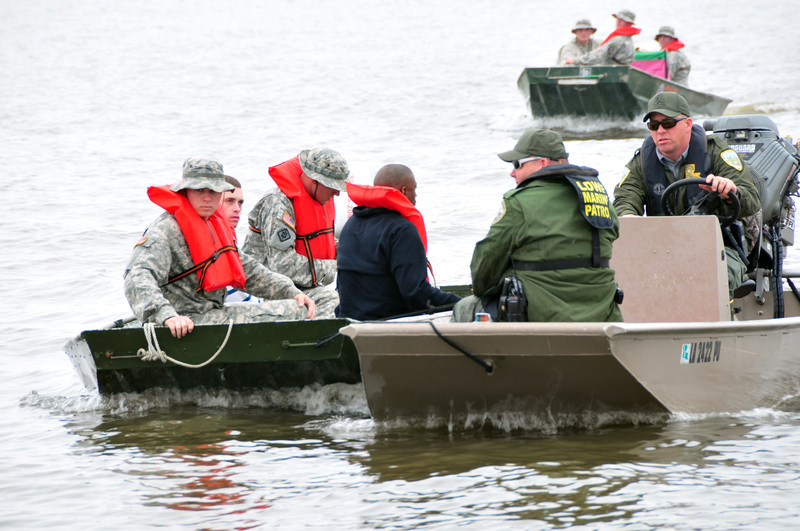 The C device recognizes service members for exemplary performance in the most difficult combat conditions. The Airmen of the 259th controlled over 41,000 air traffic operations across the middle Euphrates River Valley during their deployment, including 7,000 missions that delivered 15 million tons of ammunition and supplies to 11,000 personnel in support of 40 operations. 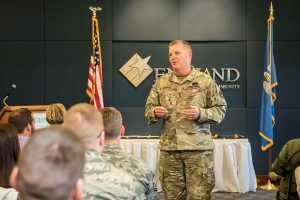 The 259th also provided support during the liberation of two Iraqi villages from ISIS. The 259th also controlled an additional 39 aircraft and coordinated joint task force aviation assets to support Iraqi Security Forces in more than 500 high mobility rocket and artillery strikes and 6,000 combat sorties. This resulted in the liberation of Mosul, Iraq. 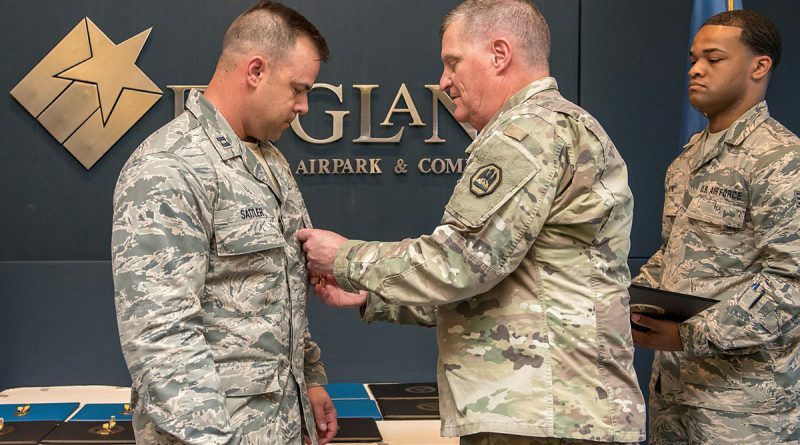 “The fact that someone thought highly enough of me to submit this award, it’s an honor­ – not just for myself, but for the airmen in my unit,” said Capt. Alex Sattler, one of the Bronze Star Medal recipients.